I had it all mapped out in my head… Christiaan quit his day job so that we could live our dream of working from anywhere in the world, travel together to international races (where before I was mostly by myself) and train in Chamonix for our first major international race, the Mont Blanc 80km 3 weeks before the race. I am sure its easy to agree that it is pretty straightforward when life & our daily activities measure up to our expectations and dreams. But what happens when a spanner (or a whole set of spanners) in the works messes up your perfect pre-pieced-together puzzle? What do you do when things don’t go according to that expectation? So what exactly happened in the past month leading up to race day? 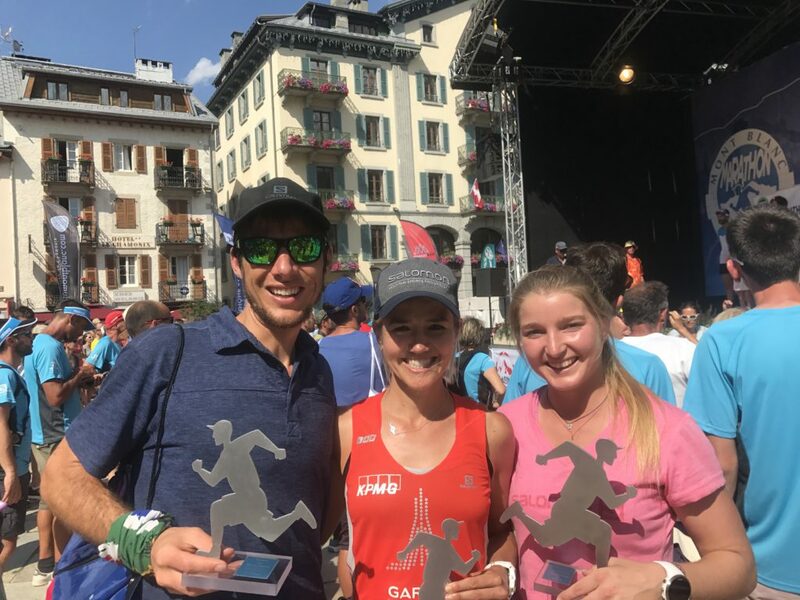 Our journey started with a dream trip to Portugal and the Azores Island for a race and a little holiday, whereafter we headed to the picturesque town of Chamonix to focus and train on the route for the Mont Blanc 80k. The first route recce was unreal. The most awe-inspiring panorama of glaciers, snowcapped mountains and a backdrop of the legendary Mont Blanc on 24km of gorgeous single track on a impeccable sunny day made this an unforgettable inaugural scout! How fortunate were we? Our second scout turned out to be even more extravagant. Even though the weather turned rainy and cold, we succeeded in summiting a snow capped mountain behind Emmoson, in our running shoes.. Ski’s would certainly have made this mission much less dangerous and challenging! (We were under the impression that this was part of the 80km route, but because of the amount of snow in this part across the history of the race, this route option was canned). Our dream Chamonix experience of training on the route seemed shattered. I had no idea how long the recovery would be and seeing Christiaan go out into the mountain playground every morning was pure agony. After two days without movement, every muscle in my body was aching – especially my back. I tried to remain positive and count my blessings, but being stuck in the situation, I struggled tremendously. Finally, what felt like weeks, I went for my first run/hike on Thursday afternoon. Surprisingly, the pain was bearable and we managed to cover most of the route in the next week. I had several visits to the doctor and pharmacies during race week to get the wound disinfected. 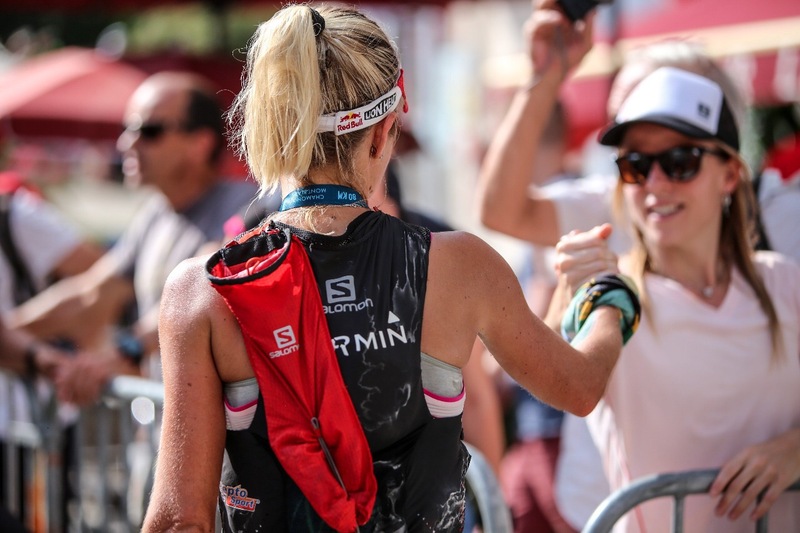 Being supported by Salomon meant that team physio and all round guru, Arnaud Tortel, was there to assist me in the days leading up to the run and to give me the go ahead to race. I had quite a lot of pain, but Arnaud assured me there was very little risk of further damage if we just bandaged it up appropriately. The day before the race I still had my doubts about whether I will race. It is one thing to jog 10km with the team on a photoshoot, but to race 85km with an open wound on one of the most technical courses in the world is a horse of another color. Yet, I didn’t feel convinced about not racing – in my heart I felt that I wanted to give it my best shot. I confided in Christiaan and he also advised me to listen to my heart. So needless to say, after some of the most traumatic and emotionally strenuous 18 days of my life, I toed the line with some 1000 other ultra runners alongside many of my Salomon teammates and a very strong international field on Friday morning at 4am. The atmosphere was electric, the gun fired in the centre of Chamonix and off went the headlamps. Immediately, another runner fell right in front of me. Fortunately I managed to avoid falling over him, but somehow, I was dealt another blow. 400m later, a cameraman filming alongside, turned around and put his foot into the road and I tripped over it and smashed to the ground, hopping on the tar. I had no choice but to get up not to get trampled by the crowds. I couldn’t see anything in the darkness, but I felt my hip and knees were quite bruised. I have heard of so many runners falling at the start, ending their race before it even started! I surely don’t believe in signs, but was this the Lord telling me to quit the race?? Again, a voice inside me convinced me to carry on. I pushed quite hard up the first 1400m climb to the summit of Brevent to try and catch up with the front ladies. 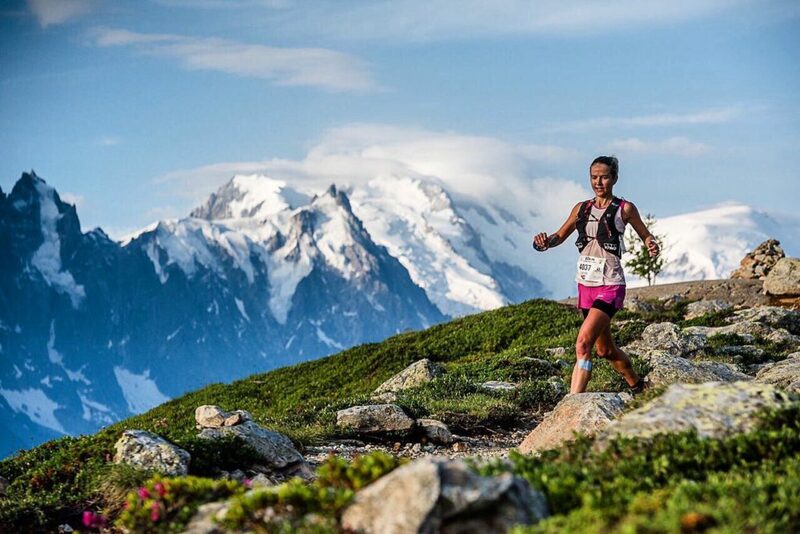 I was astonished to hear that I was the second lady to reach the summit, together with Lucy and Marianne (both Salomon teammates). 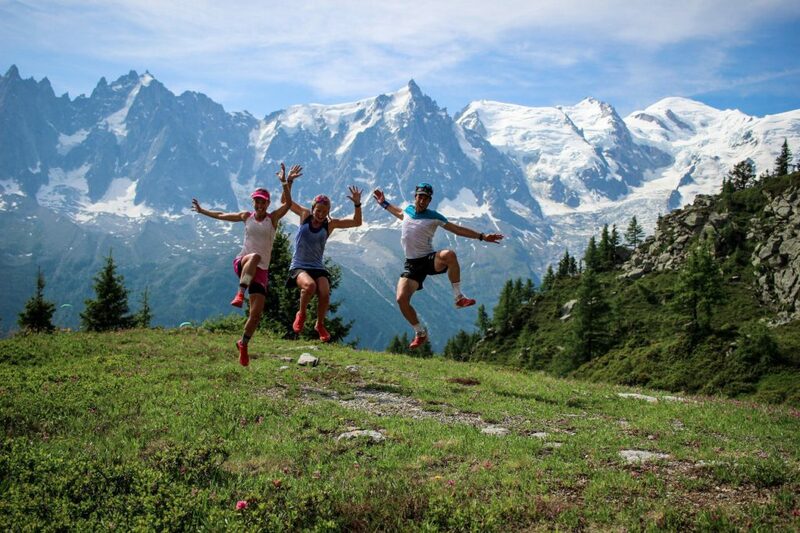 What a welcome sight it was to see and hear fellow Saffa’s & Salomon teammates Andre Gie, Kane Reilly and Hayley Preen, against the most beautiful glowing pink sunrise on Mont Blanc. 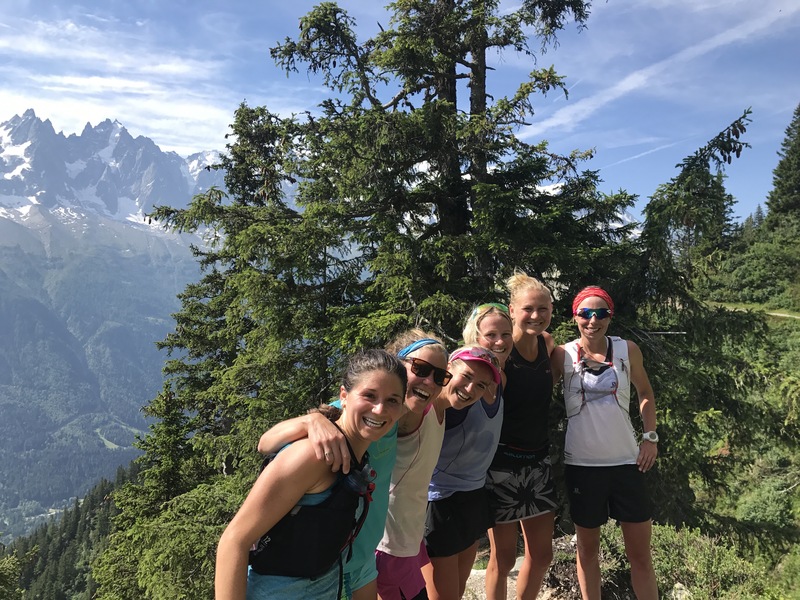 My legs felt incredibly fresh – probably from the lack of running the weeks before and even though I was constantly aware of my wound, I enjoyed the descents and exquisite single tracks in the early morning light. Because of all the sweat and humidity, my plaster and bandage came off after 15km, leaving the wound open and vulnerable. Being in race mode and in 2nd place, I just couldn’t get myself to stop and check it out. 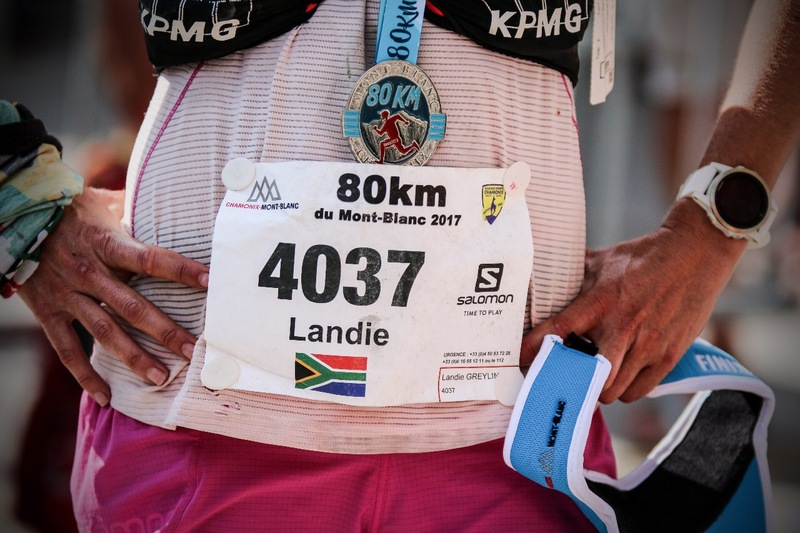 My pace felt comfortable and I reached the 2nd aid station at Le Buet still in 2nd place. With the course knowledge, I knew that the next two climbs and descents could potentially be a game changer in the race and I tried my best to keep a steady pace and not to cook myself. The heat was starting to settle in and it was particularly boiling on of the steepest and most technical climbs of the day, to the top of Emmoson dam. I still felt very much in control, eating and hydrating well and enjoying the scenic route. Where technical descents are usually my forte, I noticeably was quite weary of my open wound, and could not use my skill as usual. I also had some serious dejavu on the long downhill from Emmoson to the village of Le Chateleurd and immediately recognized “my rock” where I fell some weeks ago. Yet, as this time round it was completely dry, the risk of falling was almost zero. The 2nd longest climb of the day up to Col de Balme at 2322m (also the second highest point on the route) was indeed a tester. Finally I saw the friendly face of camera maestro, Droz and was delighted to reach the top. On the 1000m gradual flowing downhill to Le Tour (which ironically was the first very runnable section of the race in a long while), I had my first low point. I felt a bit off balance and nauseous and had to stop twice to regain composure. I am unsure if it was nutrition or altitude related, I just know the feelings were no good. I regained some energy near the bottom and was indeed relieved to be welcomed into the aid station by familiar faces. 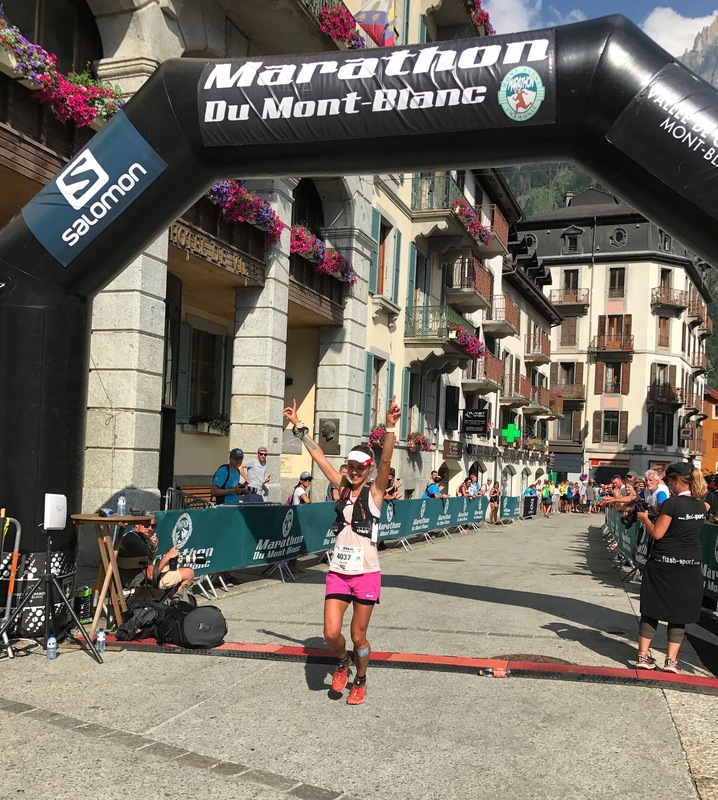 I had a really good stretch between Le Tour (65k) and Le Bois (75k) and enjoyed the relaxed running before the final 1000m climb up to Montenvers at 80km and was so happy to somehow still be in 2nd position. I went to some very dark places, my legs just suddenly felt destroyed and I had no power left, I was empty!! I had to witness helplessly as Ekatarina and Lucy passed me. I tried everything in attempt to recover, but the legs wanted nothing…. 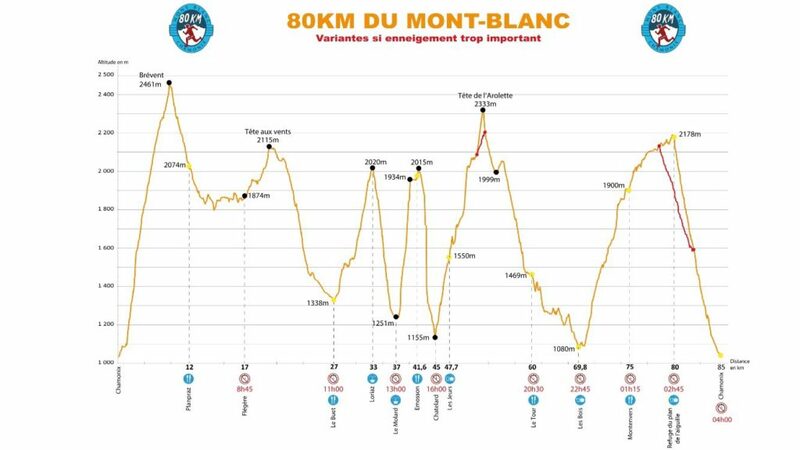 80km was all I had… I soooo badly wanted to quit in the next 12km, as this section is ruthless, with a mixture of gradual uphill, rock jumping and scrambling before the final 1200m steep descent into Chamonix. Fear settled in, and every rock became a potential weapon of injury for my tired legs, one having an open wound. There was no way I could quit now, not having come this far. I struggled my way on and survived the longest descent of my life. Finally, after a lifetime, my vision of being cheered in by the Chamonix crowds became a reality. Although not quite the reality I was dreaming of, I was emotionally overcome with the journey I had to undergo to reach this point. My legs even felt fresh again and the exhilarating ambiance along with smiles of relief carried me to the finish line and I managed to hold on to 4th! 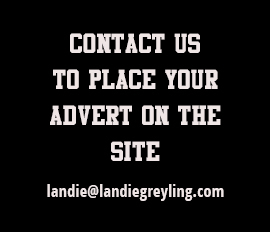 I am not sure exactly how I will develop and grow the lessons I have learnt these past 3 weeks, but one thing is for sure, they are sure to result in a tougher, improved Landie!! In the end, this past month’s experience showed me that you can always be more courageous, brave and positive than you think, especially when you have faith. I have so much to be grateful for and the many memories shared with Christiaan, my Salomon teammates and new friends adds another interesting and memorable chapter to life on earth. Without my sponsors and partners these words and my experiences would not be a reality. THANK YOU! 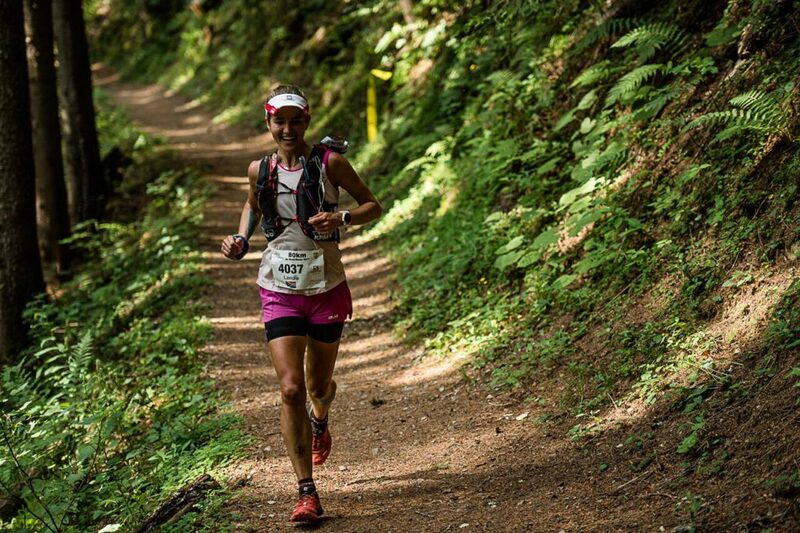 Salomon – amazing support before and during the race and for simply the best gear a trail runner could ever need. Peptosport – for hydration, energy and recovery before, during and after! Hazz coffee – For our everyday fix no matter where in the world we are! Superfoods – for keeping us healthy in the weeks leading up to the race and for the best, healthiest recovery options. Buttanutt – for healthy nutbutters to take on our travels! To my remarkable husband and adventure partner, Christiaan – without your belief and backing, I would not have made it to that start or finish line. Well done on your incredible 6th place – next time you are on the podium for sure! !